Torre Agbar is a known skyscraper that marks the entrance to a corporate zone of Barcelona known as 22@ in the Sant Martí district. With 145 metres in height, this building is currently the fourth tallest in the city. 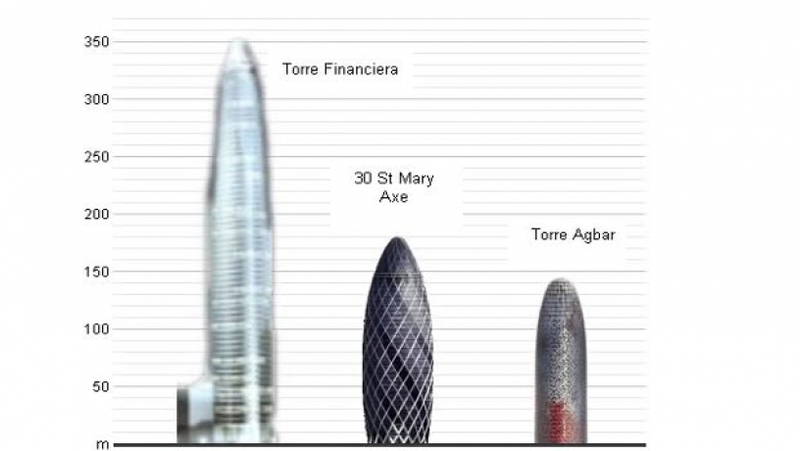 The other taller buildings being Hotel Arts, Torre Mapfre, and Torre La Sagrera. 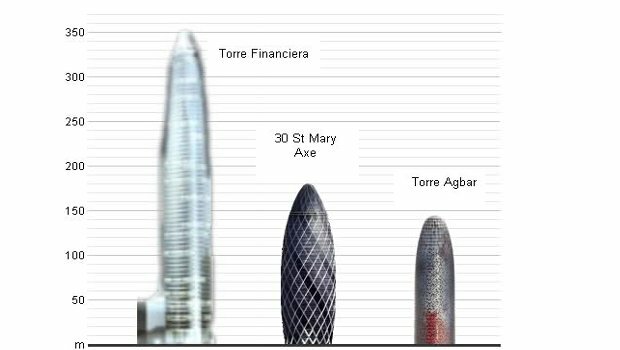 Of course, the Sagrada Familia will surpass it in height too, which when complete will be the tallest building in Barcelona. 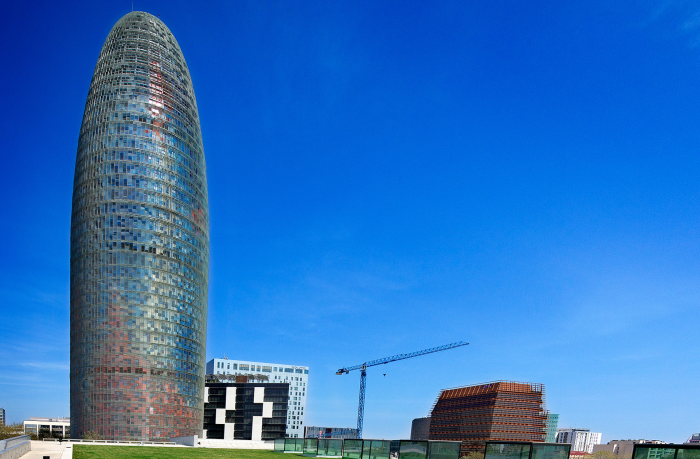 The name comes from the fact that this tower is the headquarters of the multinational Agbar Group, though other companies have offices there too. Its strange form has converted the building into somewhat of a tourist attraction and is certainly a hallmark of the Barcelona skyline. It is such a symbol of Barcelona that it has been used as part of the Barcelona New Year celebrations since 2006, with a light show and chimes as the click strikes midnight. Torre Agbar is a work by the architect Jean Nouvel which he describes as emulating a geyser springing out of the floor... Unofficially however, to the public it represents a multitude of other objects... A geyser probably being the last on the list. Construction started in 1999 and was completed in 2005. The building is also inspired by other Catalan works like the natural forms of Gaudí's and an unfinished hotel in New York by Catalan Reus. Nouvel loves Gaudí's works so much that he designed the building's north side to permit a clear view of the Sagrada Familia. The building was developed as a Bioclimatic structure, which is to say it optimizes temperatures efficiently using natural ventilation and sunlight, all in an effort to reduce the carbon footprint. The colour effect is achieved by blending concrete, glass, and aluminium of varying hues, changing the colour depending on the time of day and year, in addition to the 4,500 LED lights scattered around the monument. The LEDs light up each night, changing their usual colours during special events. In 2007, 40 workers suffered from semicircular lipoatrophy. No one knows what caused it, but it's believed that an accumulation of electrostatic fields and a lack of humidity were to blame. In Catalonia, hundreds are thought to receive this condition owing to their workplace. The building caused controversy for its sexually suggestive forms. The architect accepts the phallic nature of the building, through wasn't particularly impressed with the locals' nickname for the building; 'The Suppository'. Frenchman Alain Robert climbed the tower twice as part of awareness and peace campaigns. Its name has been registered by "Aigües de Barcelona" for use as an alcoholic beverage. Though this may simply be a measure to protect the brand and prevent someone else doing so and using it. Opening Hours: Monday to Friday - 08:00 to 22:00. Closed on Saturdays and Sundays. Bogatell beach Bogatell became a high quality beach with the remodeling of Barcelona's seafront. 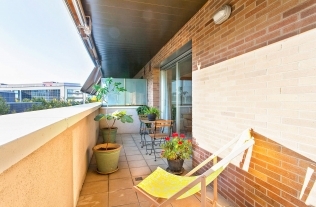 Barcelona - The New Start-Up City If you have a business idea, Barcelona has everything you need to make it happen. Test yourself: Which BCN attraction are YOU? Which one of these attractions in Barcelona represents you?